When tomatoes and basil are in season, make this simple mozzarella sandwich on a French baguette in just 15 minutes of hands-on time. 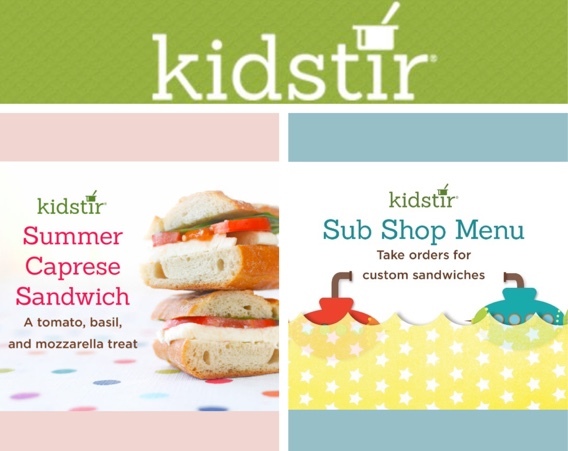 Kids will learn to use a paring knife to cut and slice fresh mozzarella cheese, tomatoes, fresh basil, a baguette (long loaf of French bread), on a cutting board. Then all that is left is to drizzle Olive oil, and sprinkle salt to eat right away, or wrap sandwiches up and eat them on the go. Enjoy! Open up a Sub Shop! Print out our colorful menus and share with friends and family. Let everyone check off favorite sandwich fixings, then get cooking. 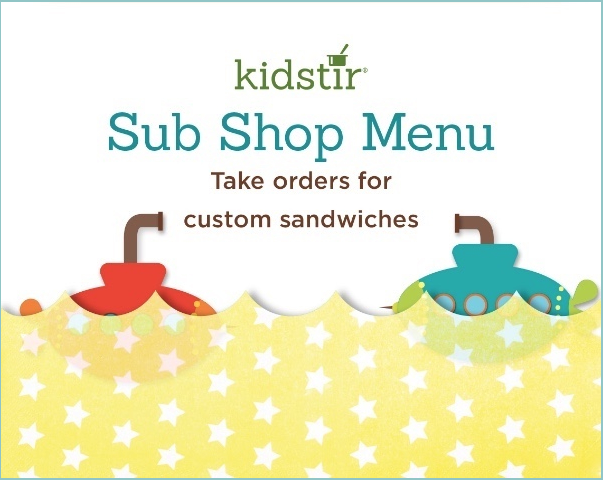 Build custom subs in your at-home sandwich shop menu! Print out family menus. Check off what each family member would like from ingredients they can build a submarine sandwich with, meats, cheeses, veggies and spreads. Make and pack yummy school lunches! 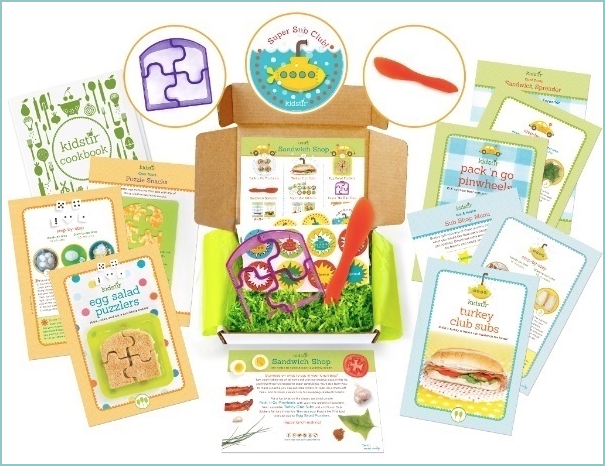 Our Sandwich Shop kit includes super sandwich recipes and fun lunch activities. The perfect back to school gift! Saturday August 20, 2016 is the last day to order this kit! Use code SCHOOL25 and get 25% off the first kit of a new subscription. Don’t miss it!